Importing food in China – What are the steps to follow? In term of food regulation, China set up a system based on different levels and which principal target is to preserve the safety and the quality of the imported products. However, each year, the Chinese state re-sends, and sometimes destroy the majority of these food items. This is due to the non-conformity and/or the irregularity of their quality. The consequence? In case of a considerable infringement, the license of import granted to the companies could be removed, excluding future trade exchanges. So, it is an important loss for companies that import but also export. Therefore, it is essential that these companies still informed about the last regulations about food to ensure the conformity of their products without neglecting the economic aspect of this trade exchange. To ensure this guaranty, the SINO Shipping department of food import, have wrote an article in which is presented several certifications and regulations necessary to export its products to China as a final destination. According to the sort of imported food, the rules could change and be set up with different ways depending on ports, offices and individual agents. In these conditions, it is strongly recommended to the companies to collaborate with reliable partner but also to be careful with the budget and time to prevent unexpected situations. Regulations for importers and exporters of imported. To the extent that you are a manufacturer and international exporter, it is necessary to be registered upon approved organisms as the Certification and Accreditation Administration (CAA) in the country where the product will be exported in the “list of importations of food submitted to the registration of the company”. Some food as meat and health food products are submitted to special conditions and require a complementary registration valid 4 year and extendible if needed. Since 2015, there is an obligation for exporters to register directly online each send of food products to know the traceability. It is realised by the AQSIQ (General Administration of Quality Supervision, Inspection and Quarantine of the People’s Republic of China). Regarding to licenses of pre-importation, it is not necessary possessing one to export in China. However, it exists some exceptions and especially for dairy products or poultries for which you have to obtain the Automatic Import License delivered by the Department of Commerce. So, if you want to obtain the certificate of tariff quotas for farm products, you have to export food submitted to importation tariff quotas as corn, sugar, wheat or also rice. Generally, the documentation required by China for importations of food products is very strict and complex. Before sending your food products, it is imperative to provide all the documents about quality, a detailed list of packaging and a description of the packaging material but also additional documents. This non-exhaustive list of documents will be examined just after the arriving of products imported to China. This is why you have to ensure that all your documents are authentic and completed in order to avoid any delay and cost of storage. To facilitate the exchanges, it is possible via the website, to have access to the Harmonized System Code or called HS Code, international system used in the world and especially by the Chinese customs clearance to verify the category of your products, tax rates, documentation, licences and requirements according to the products. Date of production, date of suggested consumption, expiry date and guide for the storage. 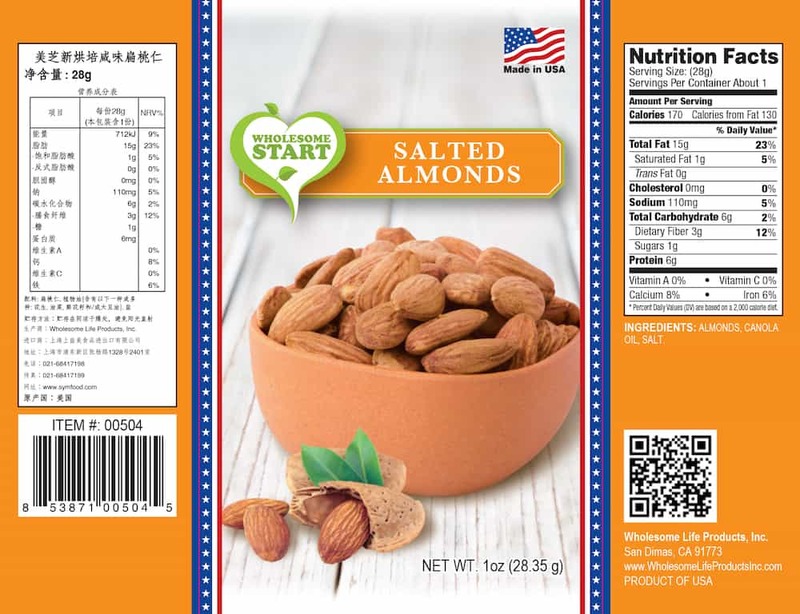 For more information, common rules about labels of pre-packed food products in China, GB771, 8-2011 inform you about the requirements of the label on the disposition and le content of pre-packed food product. The entire label has to be approved by the Service of Inspection and Quarantine (CIQS). Because in China the labels requirements are changing, it is preferable to solicit the advice of a professional to ensure the conformity of labels updated. SINO Tips: Besides ensure the conformity of the labelling of products according to Chinese regulation, it is also necessary to evaluate if the packaging is matching with Chinese food market and customer expectations. For example, you will have to consider if it is better to cover existing packaging or with a new label, thus the way your concurrent do for their labels to obtain a competitive asset with the consumers on the market. Once entered in China, food products are controlled by customs clearance agents in order to verify shipment documents and requirements of label needed. The Hygiene certificate CIQ is delivered once all document are submitted. This certificate must be delivered for each shipment of good. your certificate of quota, an introduction of your company and detailed information related to your goods. Furthermore, the process is much more complex when it is your first exportation of food products although the process is easier after successive exportations. But, AQSIQ’s officials can always control labels and samples during the next shipments. China permits to numerous international exporters of food products to enter in an important and cost-effective market. But, the Chinese operation regarding importation of food and beverage products could be difficult to understand for importers the first time due to it siloed and localised system. First, by the geographic extent of the country, exportation from China to different places requires to proceed with precaution to avoid any failure of administrative order. SINO Advice: Therefore, following the steps enumerated before can allow you to make the process clearer and efficient. Moreover, solicit the advice and advices of SINO Shipping competent consultants about beverage will ensure the success of your company in one of the more important market of consumption in the world. expiry date and standard number of the product. The language used on the food products’ label has to be in standard Chinese. Chinese pinyin can be used at the same time, but the orthography has to be correct and the size of the police does not have to be bigger than the Chinese characters corresponding. The minority or foreign language can also be used at the same time but has to be a right translation of the Chinese and the size of the police does not have to be bigger than the Chinese characters corresponding. Every writings, symbols and graphic used have to be discreet and easy to understand, and their colour has to be in contrast with the background colour. The label does not have to be separate to the recipient. Units of measure used on the label of the food product have to be in conformity with the regulated units of measure adopted by the continent. If manufacturers can use the name of the brand on the label of the product, they also have to mention the name of the product as stipulated in the national requirements or in the requirements of the industry in the positions at proximity. In absence of national requirements or industrial requirements, the common name or the generic word of the food product can reflect the real characteristics of the product and not throw the consumer off or confuse him. According to the general rules, characteristics of the company of production of food product must appear on the label. Food products indicating the country or the county where the factory is located are considered as non-conformed. Wheat flour, rice, starch of corn, white sugar, glazing in the white sugar, the table salt, the tea leaves, the dried mushrooms, the foodstuffs with medicinal effect (as the Chinese wolfberry etc) are conditioned products on the continent and have to indicate the name and detailed address of the unity of production, packaging, re-packing or distribution. Products in bulk (for example edible oil, powdered milk, wine, etc) imported from abroad and repacked on the continent have to indicate the name and address of the unit of repacking on the continent but also the country of origin. Aside from food products with only one ingredient, every other food products have to be written with a table of ingredient on their label under the section of “Ingredient” or “Table of ingredients”, enumerating every ingredients by descending order of quantity. If the ingredient is composed of two or several substances, the name of the ingredient composed has to be indicated on the table and its principal’s substances have to be enumerated by descending order in term of quantity in brackets. SINO Advice: For sweeteners, preservatives and colouring, their real names have to be noticed. For materials of edible packaging (for example capsules, packagings of candies of rice paper), their primary ingredients also have to appear in the Table of ingredients. The manufacturing date is the date of entrance to factory of the food product during the production and during the inspection succeeded by the manufacturer. For frozen drinks (for example the ice-cold lollipops and the ice creams), the manufacturing date must be indicated on the box of external packaging (box). General rules require that most of the food products indicate clearly their expiry date. However, for alcoholic drinks containing 10 % of alcohol or more, the edible vinegar, the table salt, the glutamate sodic mono, the solid food sugar, etc., which do not deteriorate easily, it is not necessary to indicate the expiry date. Pre-packed products manufactured and sent on the continent (excluding imported pre-packed products) have to indicate on their packaging the code and serial number of the national requirement, industrial requirement, local requirement or the company requirement. The labelling of a higher requirement or a wrong presentation of the requirements adopted will cause the banning of the food product on the market. Food products are submitted to the measures of administration of labelling in farm products genetically modified published by the Minister of Agriculture have to indicate on their labels that they are products genetically modified. For example, the powder of soya, the soya oil, the corn oil, the starch of corn, the colza oil, the colza, the fresh tomato and the tomato sauce. Affirming explicitly or implicitly that the product can prevent or cure the disease. Other contents forbidden by the laws, regulations and products’ standards. Besides the nutritional data above, the nutritional label can also contain a list of saturated fats (acids), of cholesterol, sugar, food tissues, vitamins and minerals. A claiming of content refers to the claiming of the levels of contents of the energy or the nourishing elements of the food product. The wording of such claiming includes “to contain”, “top”, “bottom” or “no”. An assertion of comparison makes a reference to the assertion of comparison with the content in nourishing elements or the energy value of similar food products well known of the consumer. An assertion of nourishing function makes reference to the assertion according to which certain nutriments have for function to maintain the growth, the development and the physiology normal of the human being. Other food products stipulated by laws, administrative regulations or food requirements for what the labelling is not required.